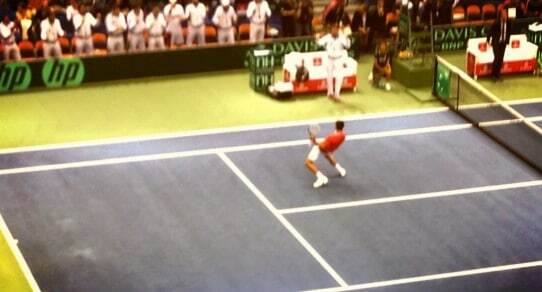 The advantage of hosting a Davis Cup Tie goes far deeper than simple home court advantage. Obviously, fan support and emotional momentum favors the host team, but so much more plays into strategy. 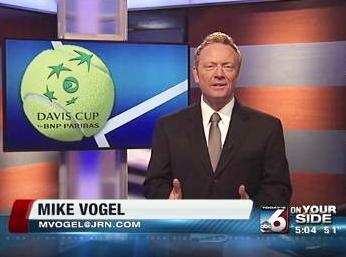 With his site selection for Team USA’s 2013 Quarterfinal versus Serbia, Captain Jim Courier was determined to give his team as many advantages as possible…and so we found ourselves in Boise, Idaho. 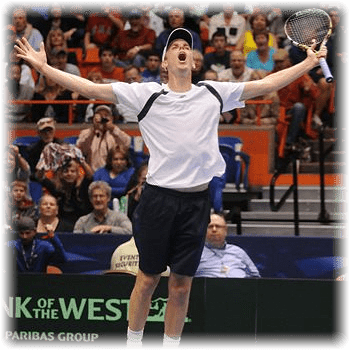 In theory, Boise’s altitude was supposed to favor the hard-serving John Isner and Sam Querrey. It didn’t make a difference. Novak Djokovic had no trouble handling Isner’s thin-air thunder in the first rubber, dispatching the top-ranked American in straight sets. As he did earlier this year in Jacksonville, Sam Querrey offered up some late match heroics. After winning the first set over Viktor Troicki, Sam’s cannon blasts lacked set-1’s firepower. At the end of the third, Viktor was a set away from putting Serbia up 2-0, but Sam recovered, unleashing a sustained barrage of solid service games that carried him to victory. In the most dynamic Davis Cup match of the weekend, doubles veteran Nenad Zjimonic teamed with Ilija Bozojac to take-down the most prolific team on tour, dispatching Bob and Mike Bryan 15-13 in the deciding set. The upset lasted over 4-hours at altitude. Boise’s site selection was designed to give John and Sam a chance against Novak Djokovic. Little thought was put into how those conditions would affect the doubles match. Because they’ve been so dominant for so many years, it’s understandable that Team USA would take Bob and Mike for granted. Nenad and Ilija simply outlasted them. Up 2-1 on Sunday, Novak Djokovic delivered a routine win over Sam Querrey to clinch the win for Serbia – despite severely spraining his ankle in the first set. Serbia will now host Canada in the Davis Cup Semifinals this September. Team USA will have to wait for another run next year.